If you have limited time in Taiwan, the are a lot of day trips you can do outside of Taipei. One of these places is Tamsui. 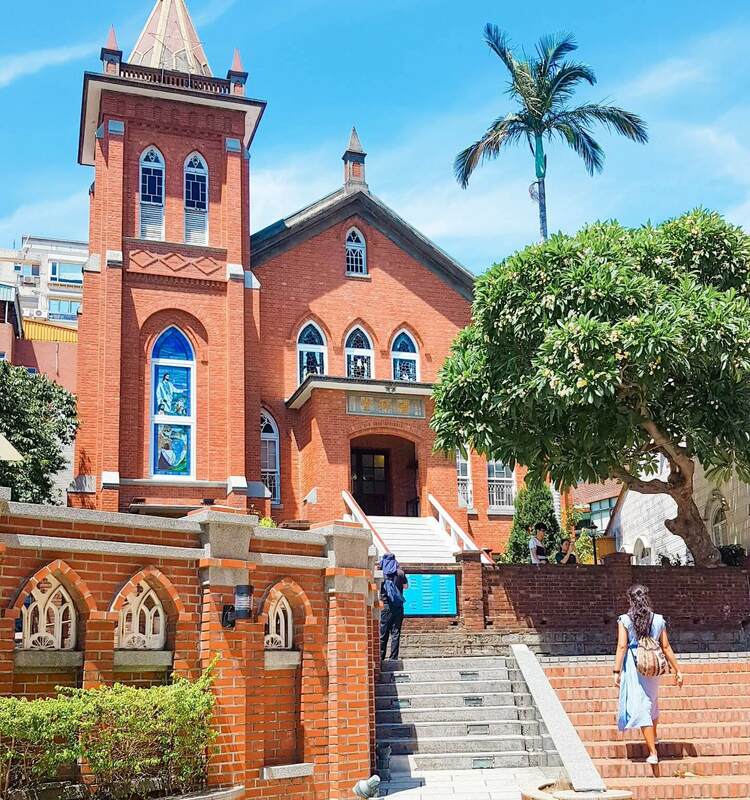 There are tons of things to do in Tamsui and this simple guide may give you a glimpse on what to expect and what to do in this part of Taiwan. Then we decided to go to Tamsui. The place was a bit far from Yehliu we took an Uber ride going there. I was surprised because our Uber car was a Mercedes Benz! This small-town girl was so giddy ridding the car, and as always, I was sight-seeing for a while, then went to sleep during the rest of the ride. Haha. To be honest, I didn’t know anything about Tamsui that time and I was pretty happy that we went there anyway. Check this simple guide if you’re planning to visit Tamsui. How to get to Tamsui? Take the MRT. Tamsui is the last stop in the red line. More or less 50 minutes travel time. You can go there via single journey tickets or rechargeable IC cards. You can also get a Taipei Pass that gives unlimited rides on the MRT and on public buses. NOTE: A lot of the museums, even some art galleries are closed on the first Monday of every month. A friend of mine learned this the hard way. Aside from the famous Tamsui Old Street, there are a lot of things happening in the narrow streets of Tamsui. Tons of stores selling different stuff like handicrafts, toys, clothes and souvenirs that most foreigners would buy. And I’m one of the victims. Can you guess what was the first thing I did the moment I arrived in Tamsui? While they went to buy milk tea, I headed to a store and saw some clothes. I only bought one top (sad fact) and it took me a lot of time choosing one piece of clothing. HAHA. Classic me! I wanted to buy more, but I didn’t want to waste my companions time. I love Taiwanese food! I love it so much that I really enjoyed walking along the riverside of Tamsui I was trying different street foods they were offering. Free tastes are the best., I’m not paying anything and my tummy is really happy! They usually have sea foods and I tried a lot of it. I was almost full before we went for our late lunch. There are also a lot of fun games by the riverside and you can see that children are so fond of enjoying this side of Tamsui. I already played some games when we visited Shilin Night Market so I didn’t try playing in Tamsui. It was a very hot day and we visited Tamsui Presbyterian Church. It was a small but lovely church. We wanted to stay for a while and check the inside of the church, but some people were inside, practicing their songs maybe. We were not allowed to go in so we continued our walk. Again on a very sunny day. Inside Fort San Domingo, they played a brief history of the place and also the history of Tamsui. According to Wikipedia. Fort San Domingo was originally a wooden fort built in 1628 by the Spanish Empire. You can also check Hobe Fort, another historical fort located near Fort Santo Domingo. Just beside For San Domingo is the British Consulate Residence. You can’t tour the inside of the building but they have one room that explains a bit of history about the place. Just around the corner. You can check Aletheia University. We were walking whole afternoon and we needed a break. We sit near the pond facing Oxford Univeristy. While sitting, it was nice seeing turtles in the pond. Before going back to Taipei, we stopped by the Turkish Ice Cream store. What they do? They usually make you wait and trick you to have your ice cream. It was really entertaining. I felt like I was a kid again. HAHA. You can check the video below how it went. Since we started at afternoon. We weren’t able to explore some of Tamsui’s tourist spots. Here are some of the places you can visit. They said that Tamshui Fisherman’s Wharf is great spot to watch the sunset. Cross the lover’s bridge. In order to be in this area is if you have a lover. KIDDING!! Of course you can go there with or without a lover. Yinshan Temple is a bit far from all the locations mentioned above, but if you like temples, you can also visit this one. You can take a ferry going to Bali, located on the other side of the river. From Tamsui, you can explore the other side. We had a short time but it was worthwhile. I hope you can check this side of Taiwan and enjoy Tamsui’s historical sights. Disclaimer: Some of the links in this post does contain affiliate links that I earn a small commission for, but they come at NO extra cost to you! Any purchases you make through my links help keep the site running (and help me feed to survive ). Still and the same, like I’ve mentioned above, I only recommend brands that I personally use or believe in. Thanks in advance for your support! Have you been to Tamsui? Share your experience with me and comment below. Also, don’t forget to follow me on Facebook and Instagram! The riverbank looks lovely! I’ve never been to Taiwan but would love to visit one day. I’ll need to put Tamsui on my itinerary. Yes, Tamsui is a nice place. You should add that one in your list.